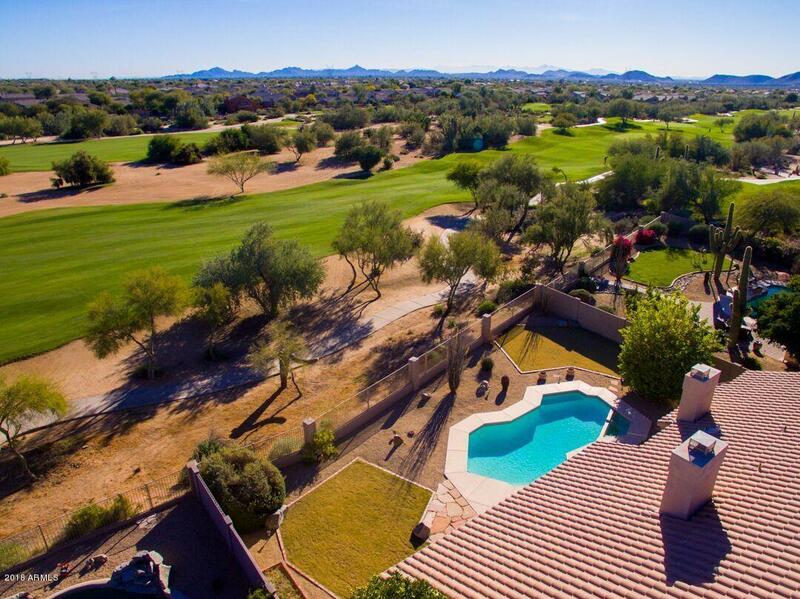 Gorgeous views!! 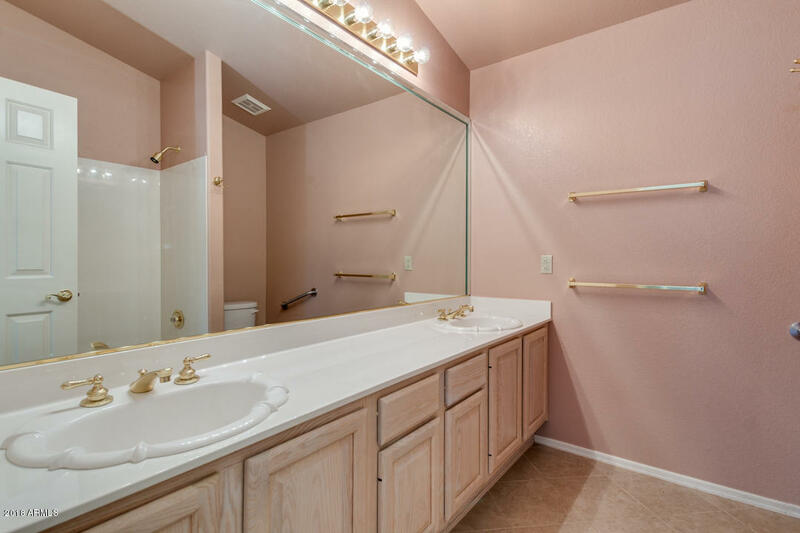 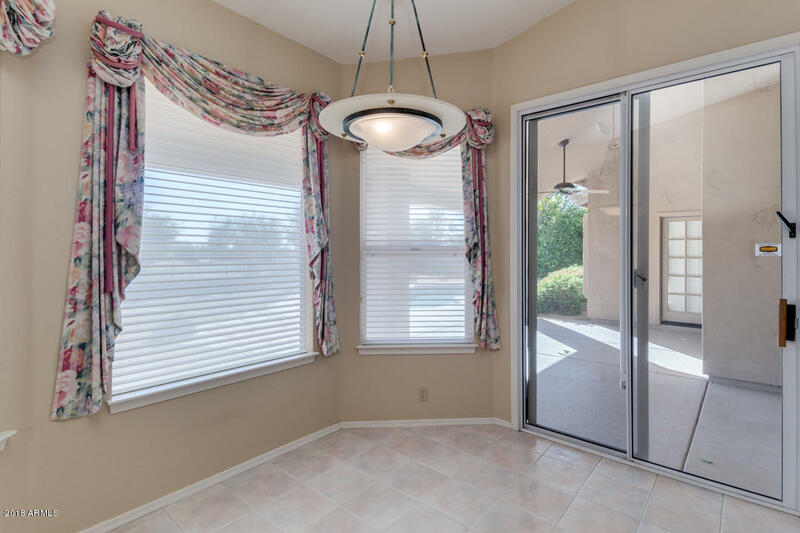 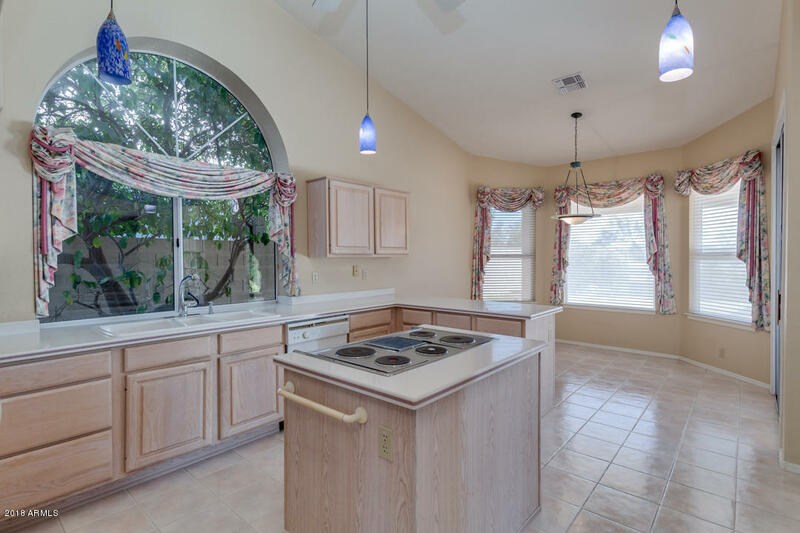 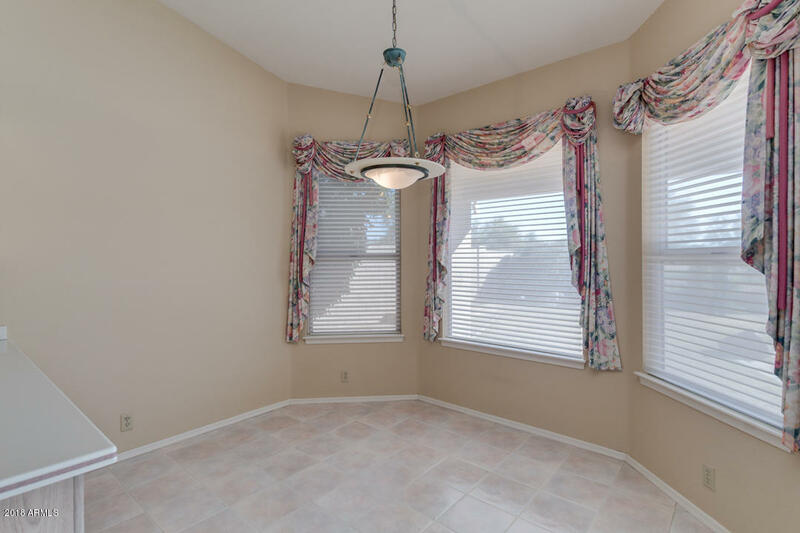 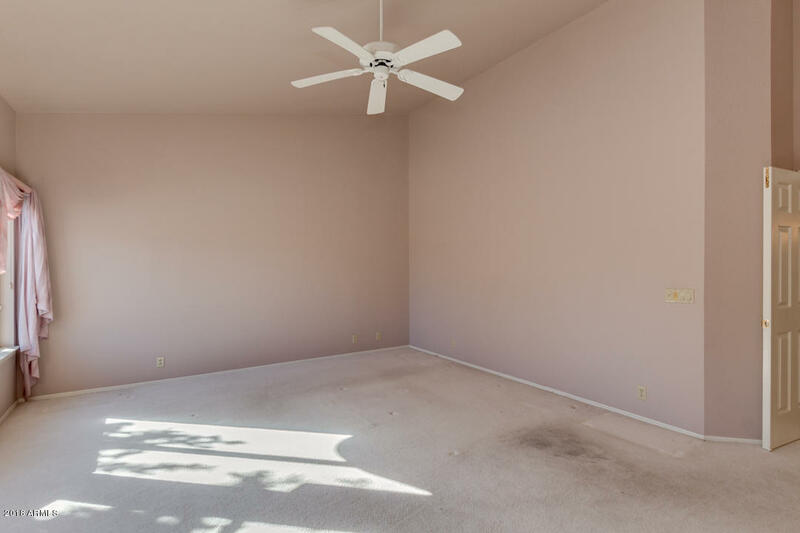 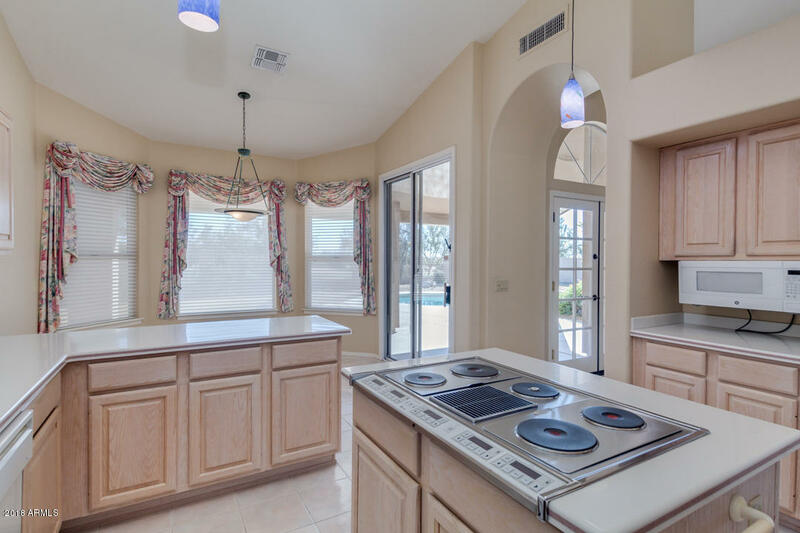 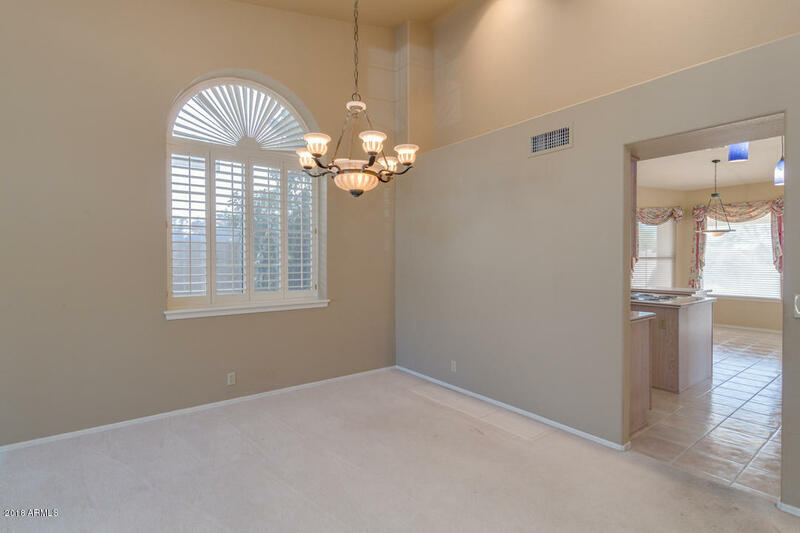 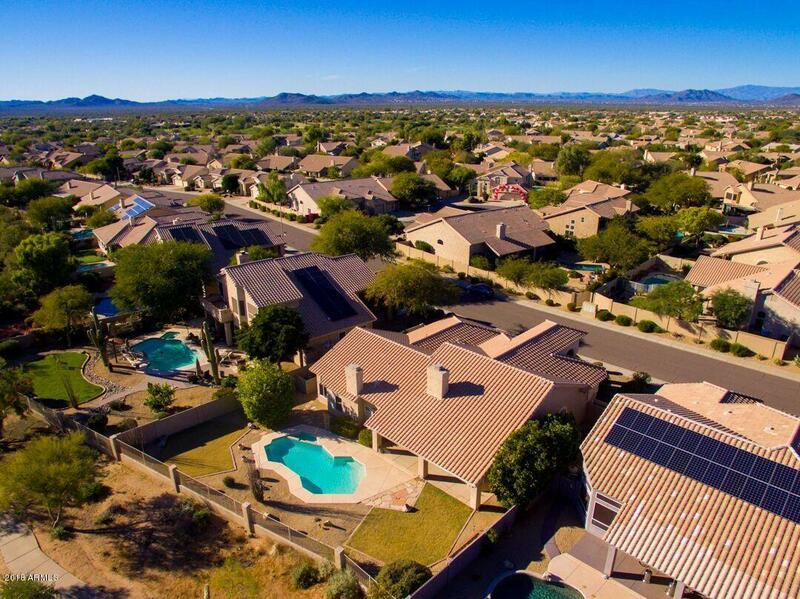 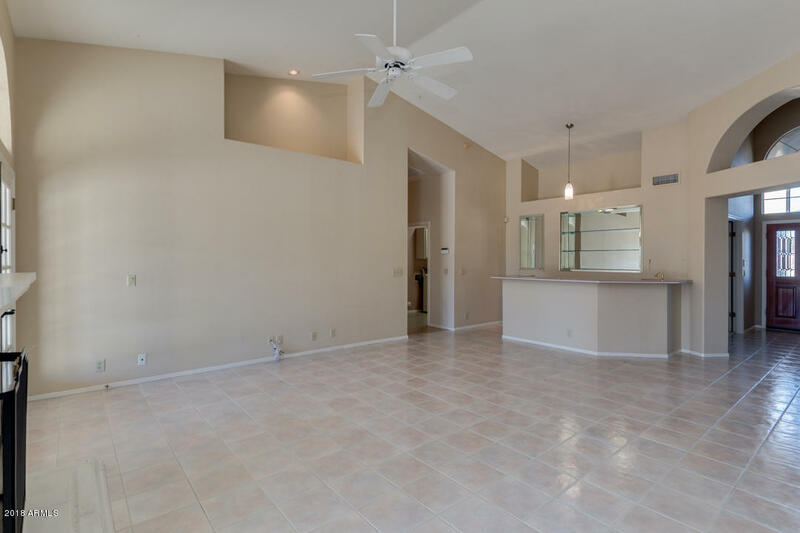 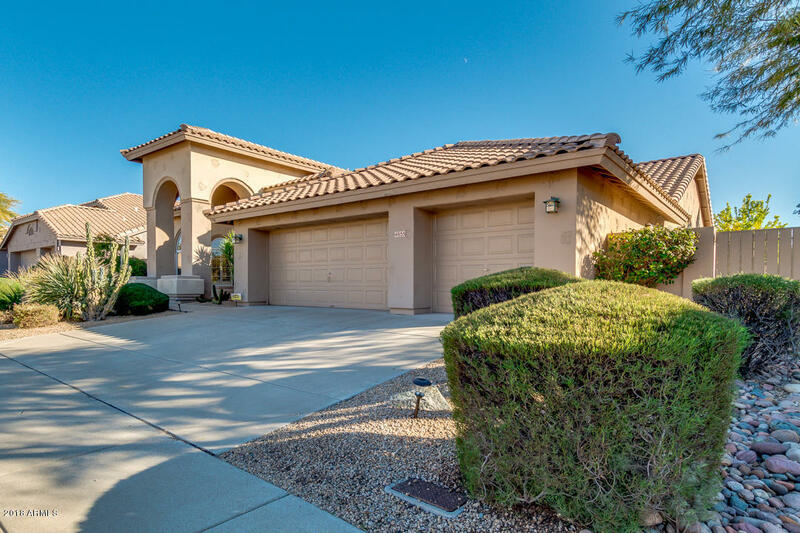 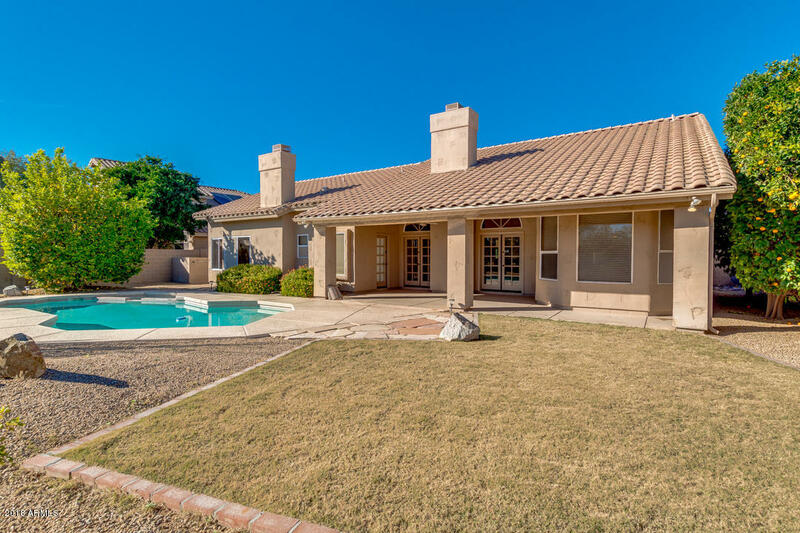 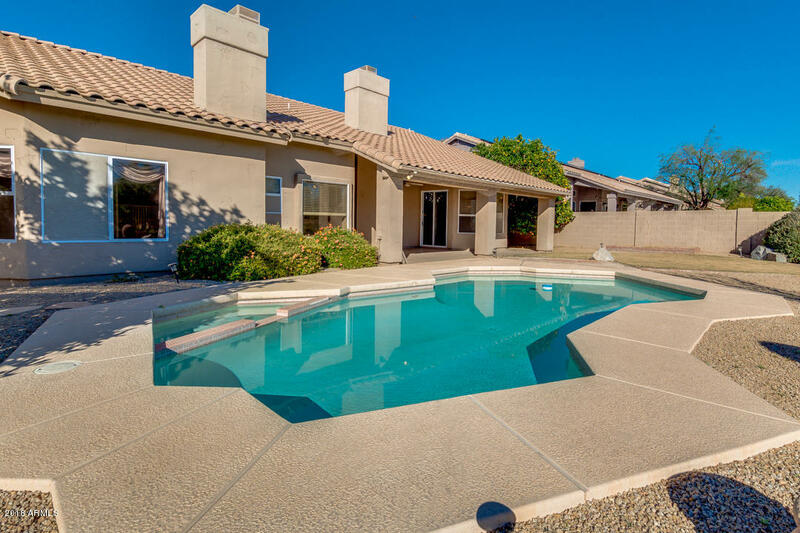 Spacious single story, 3 bedroom, 2 bath home, w/den/office, backs Golf Course in Desert Fairways at Tatum Ranch. 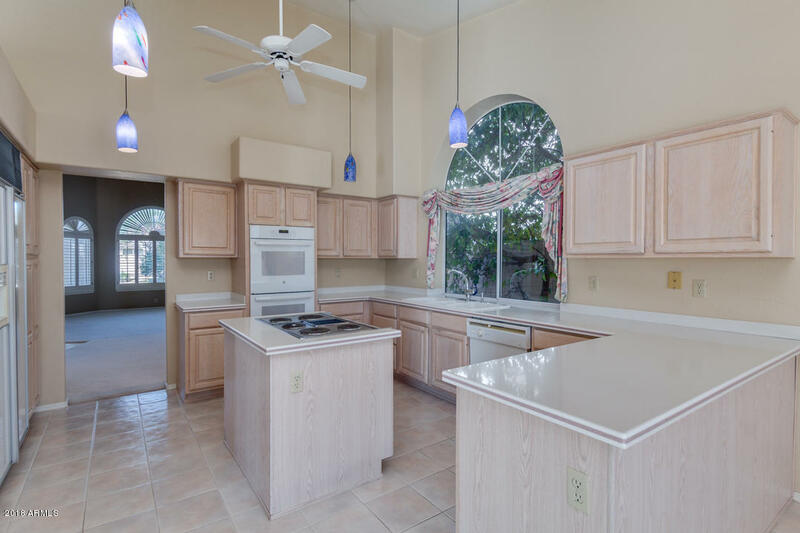 Large lot, soaring ceilings, open floor plan, Plantation shutters, beautiful windows, abundant picture/plant niches. 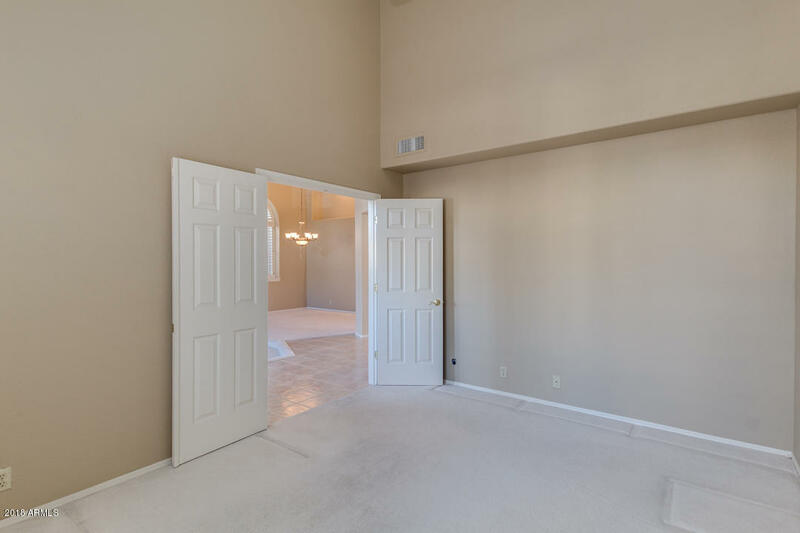 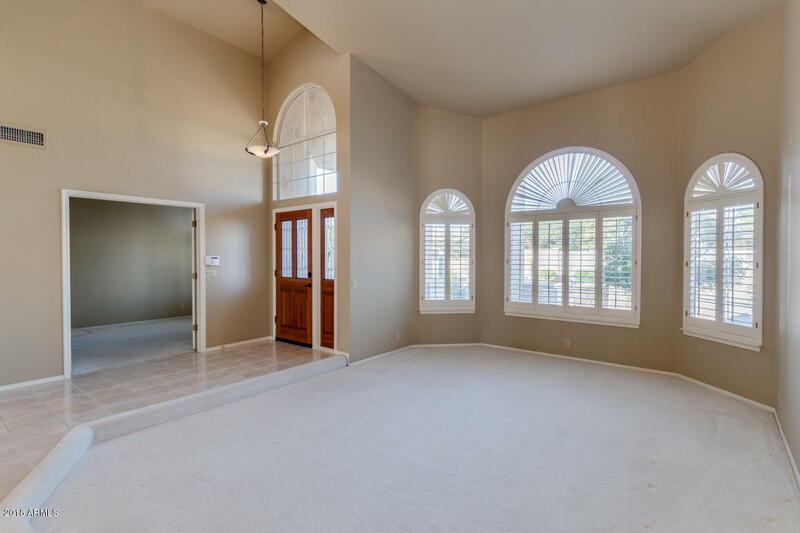 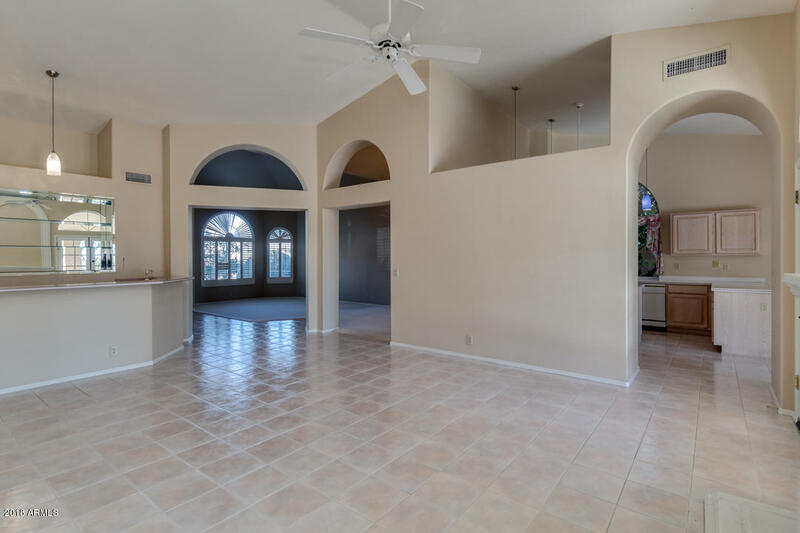 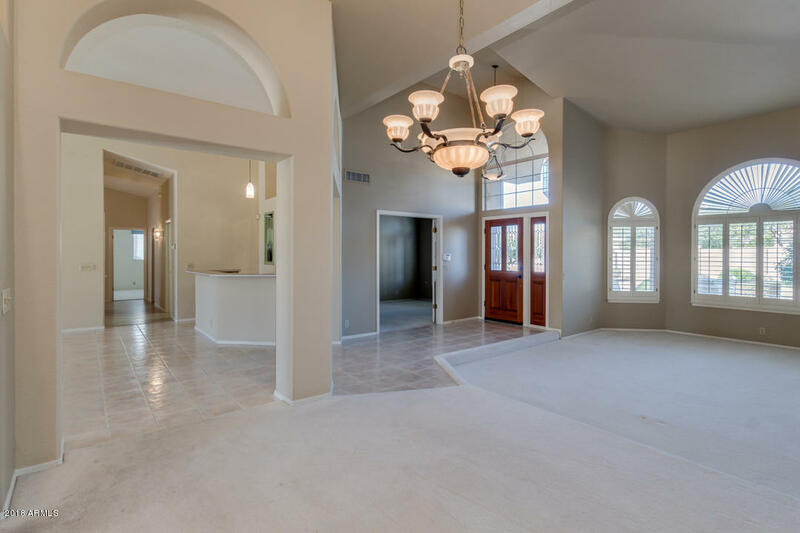 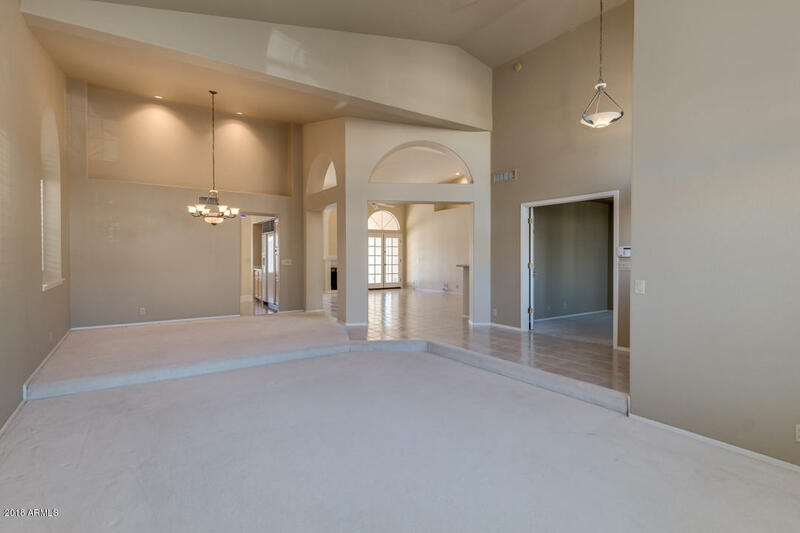 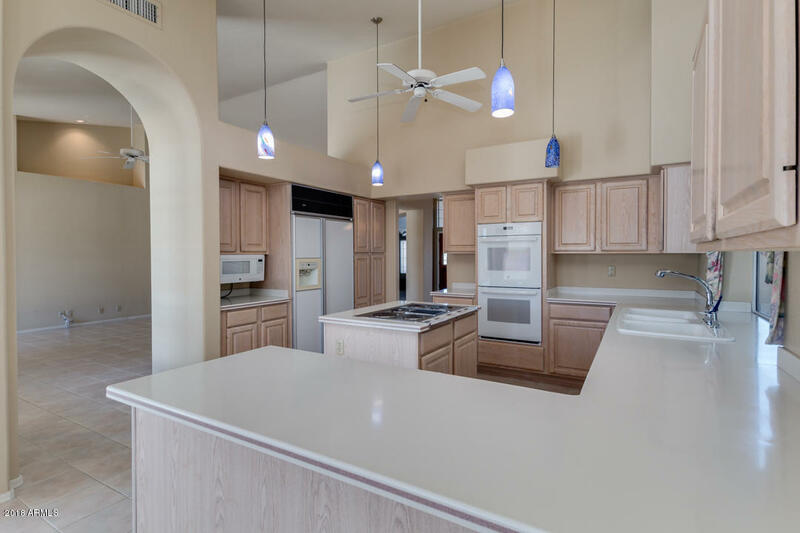 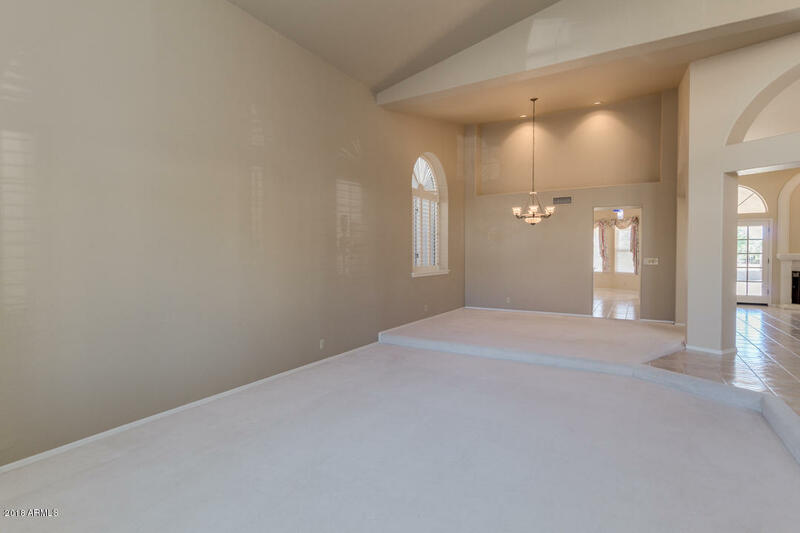 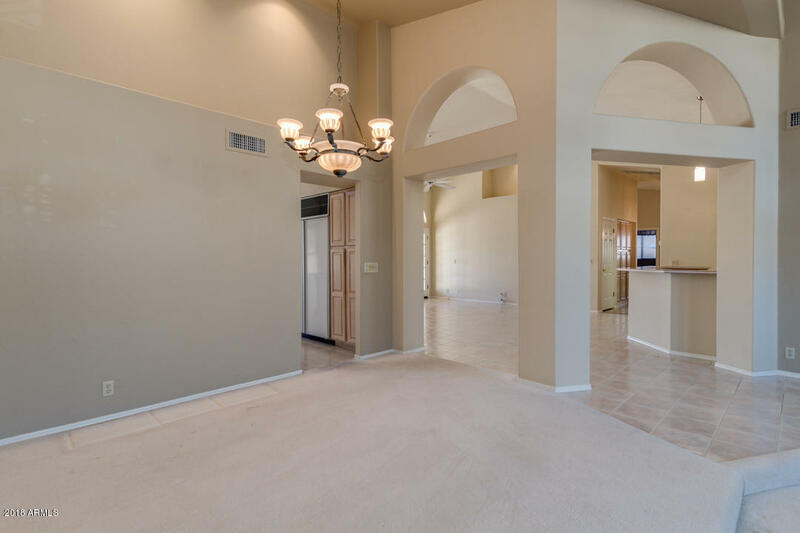 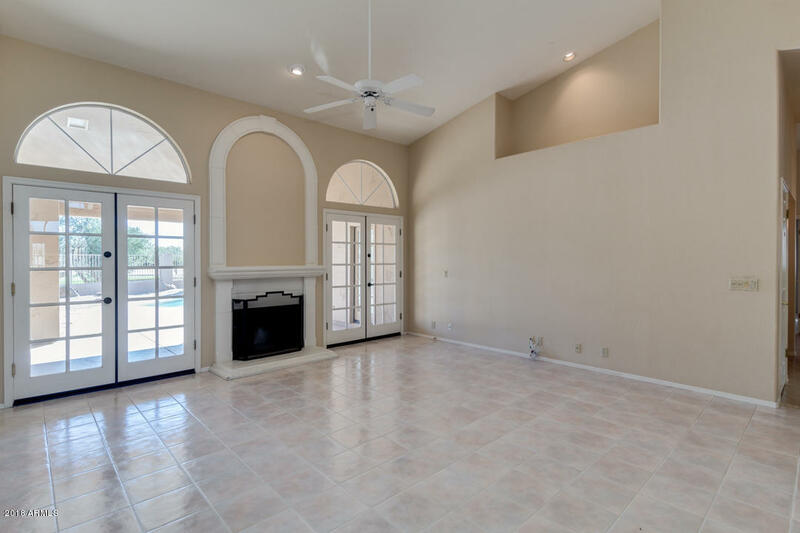 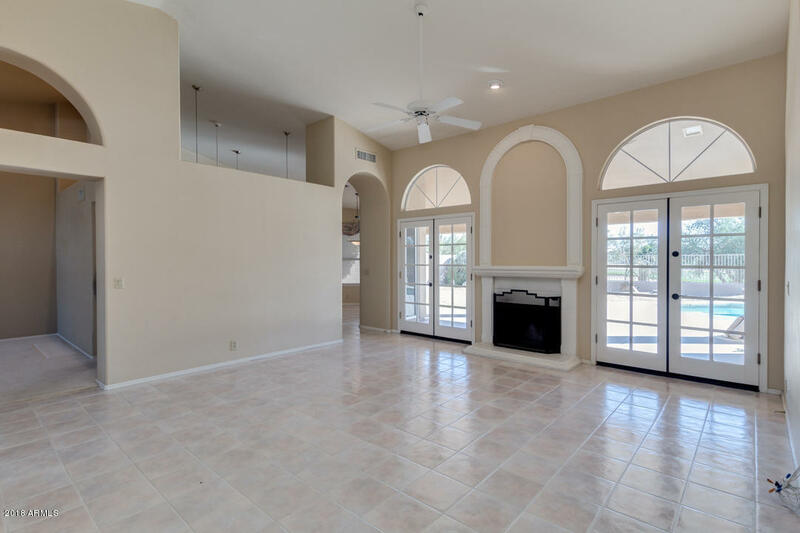 Sunken living room, formal dining room, wet bar & fireplace in family room with 2 French doors to covered patio, gourmet kitchen with island & breakfast nook. 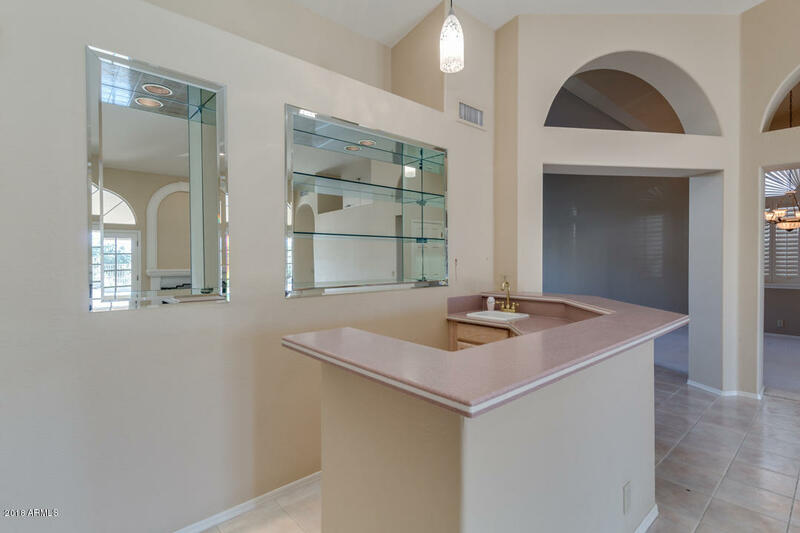 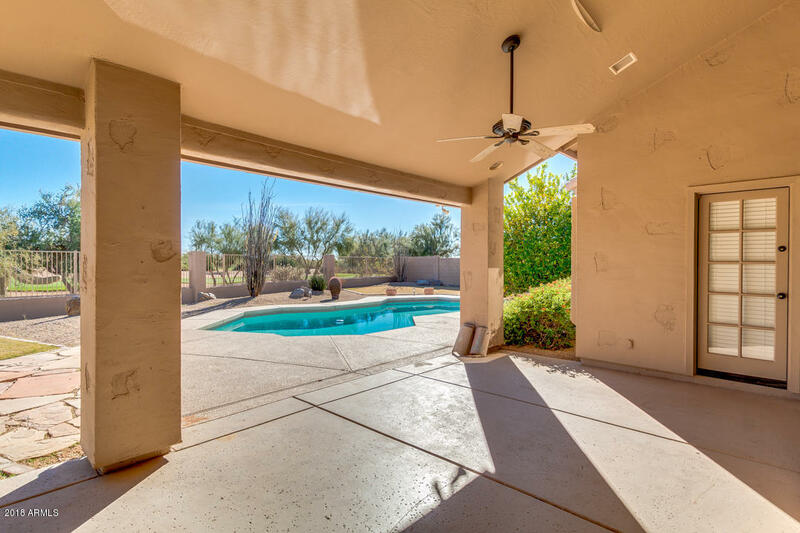 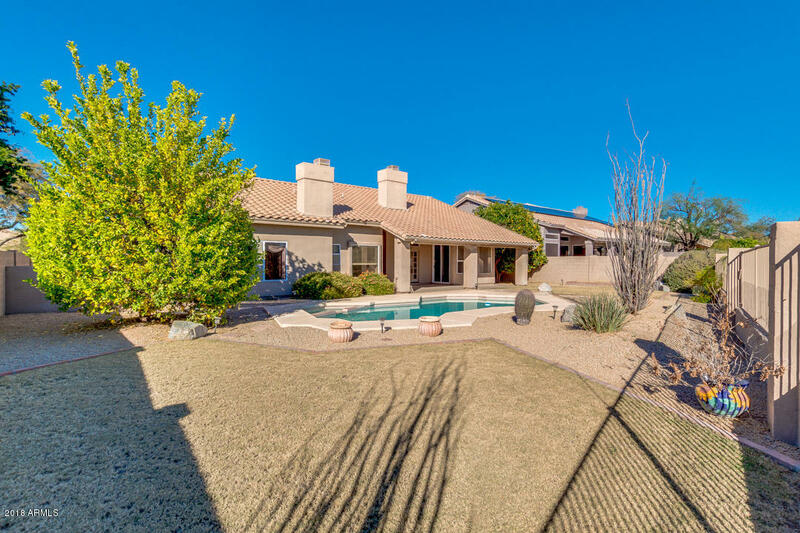 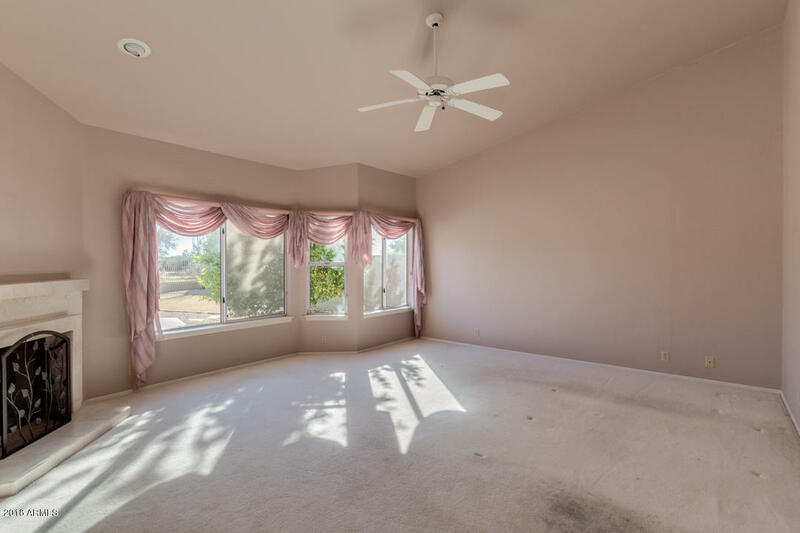 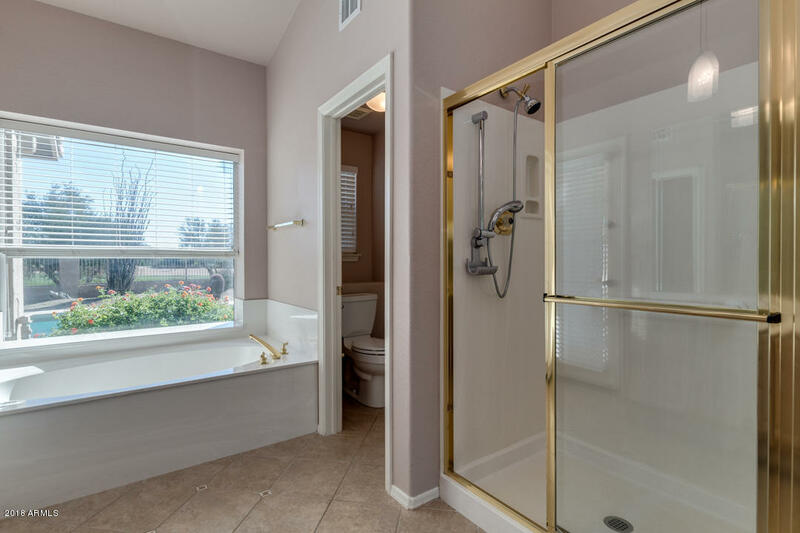 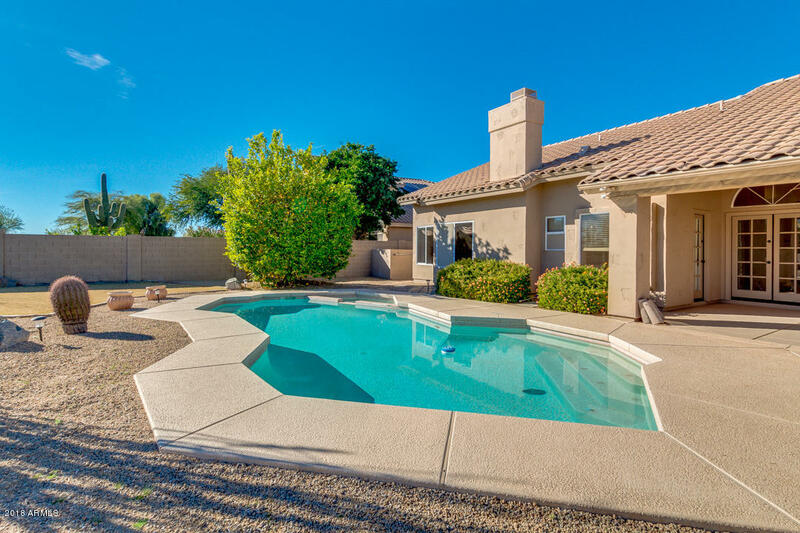 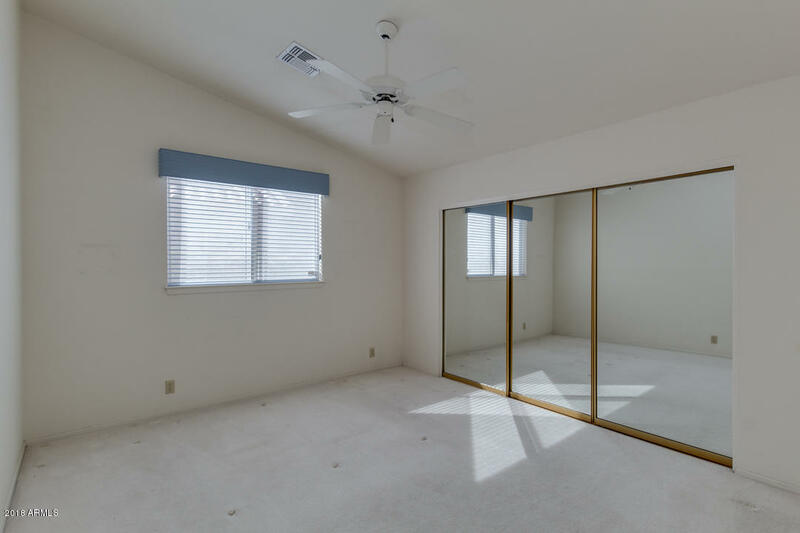 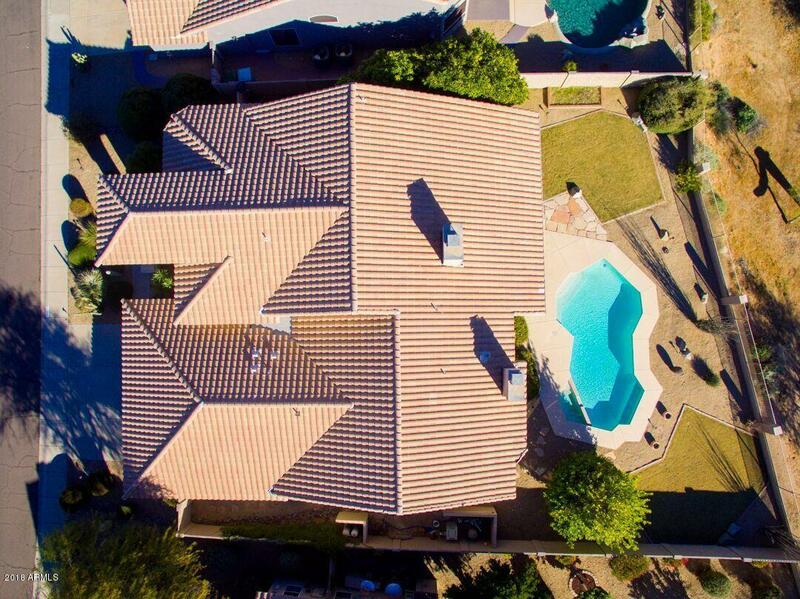 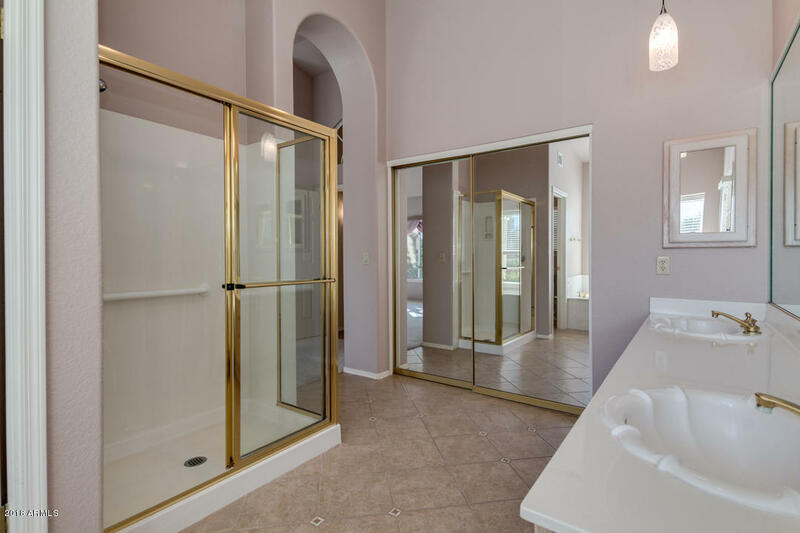 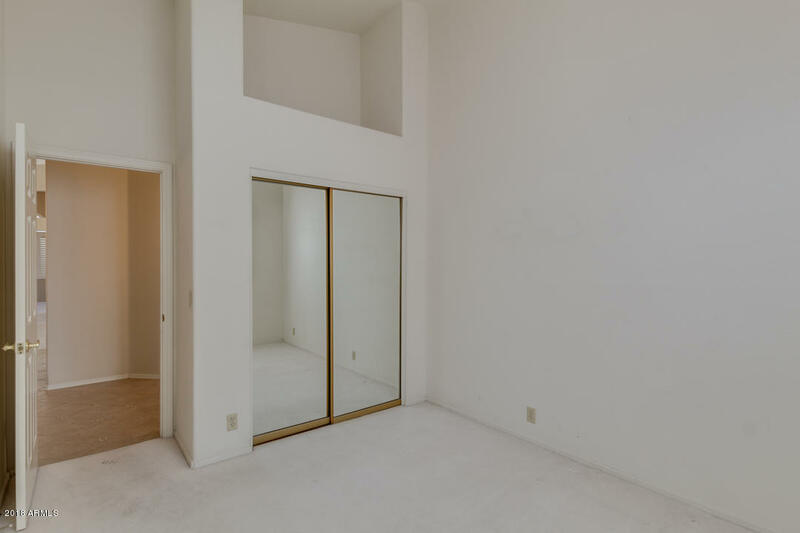 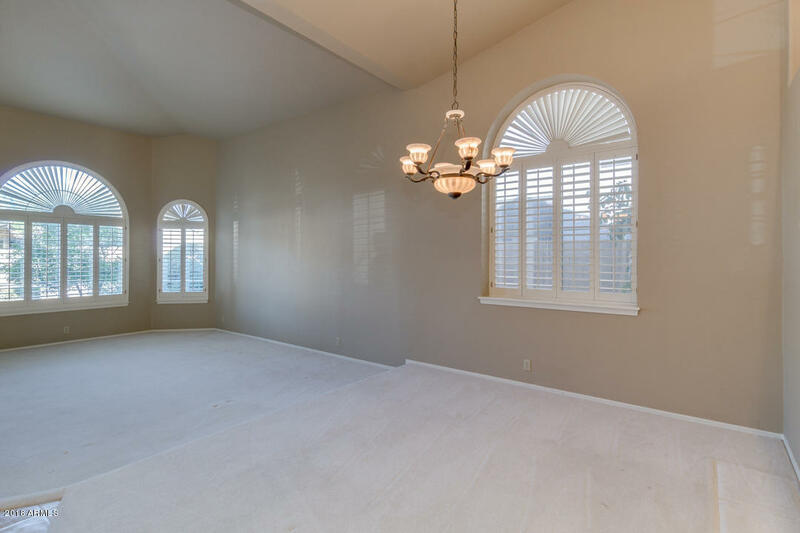 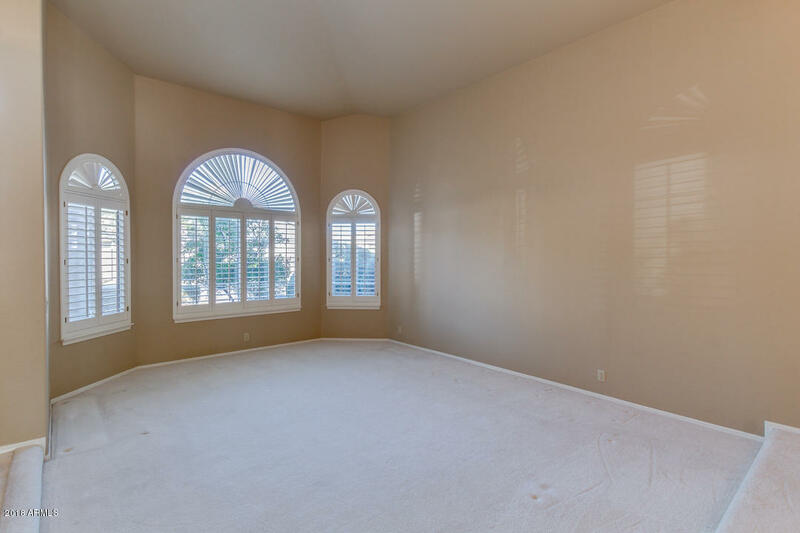 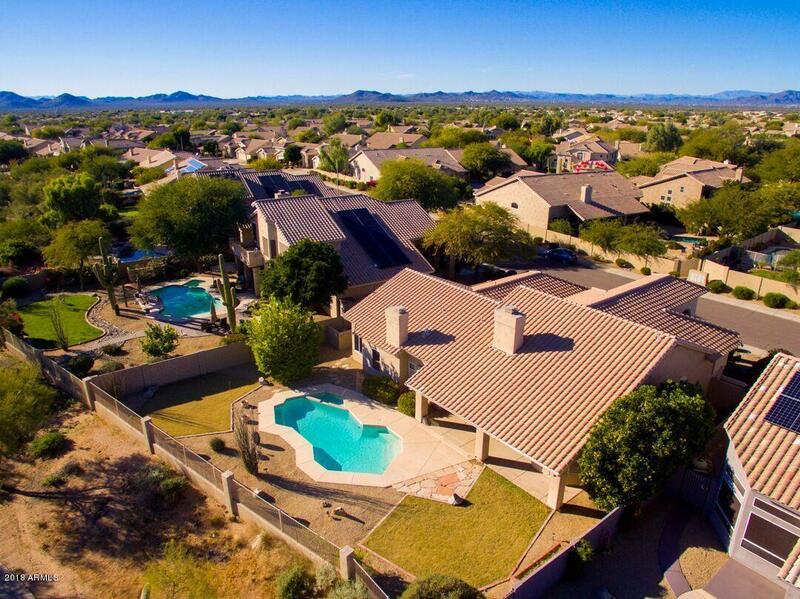 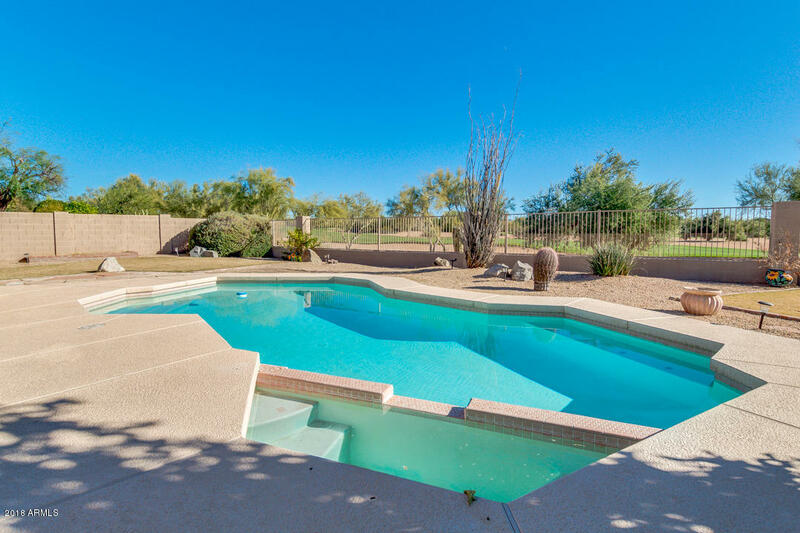 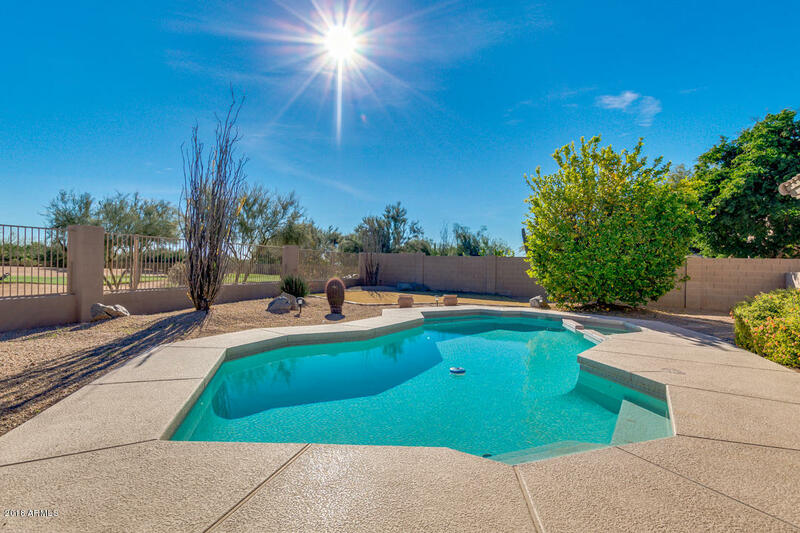 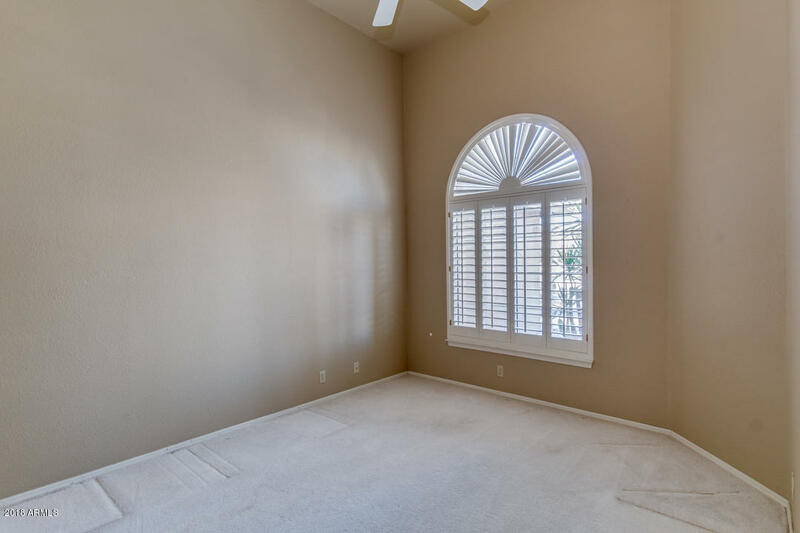 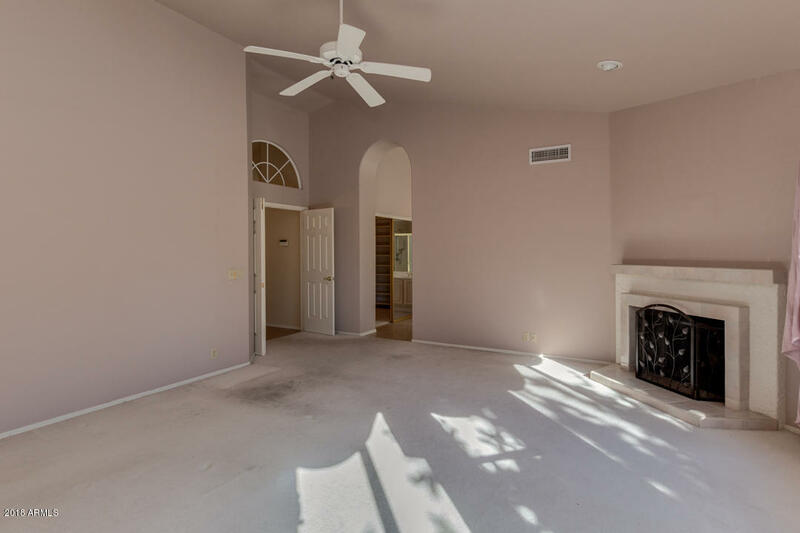 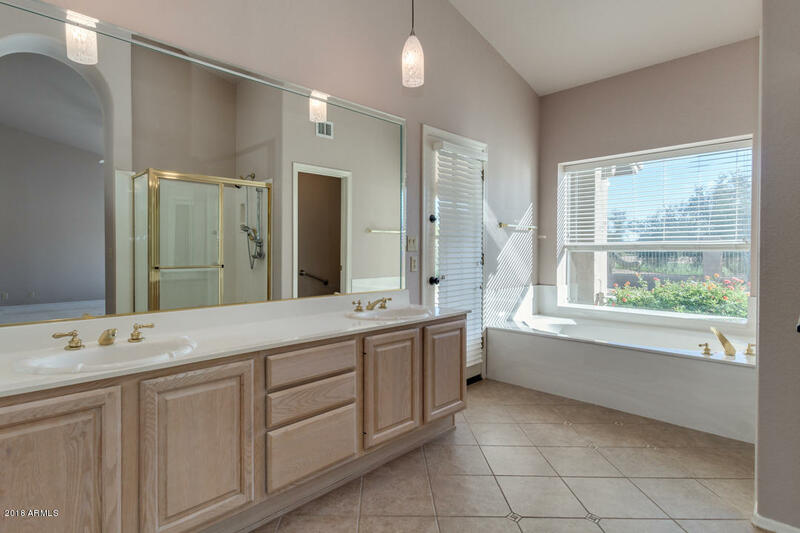 Master suite with fireplace, dream bath, separate tub, large shower, double sinks, huge walk-in closet with built-ins, access to covered patio, sparkling pool/spa. 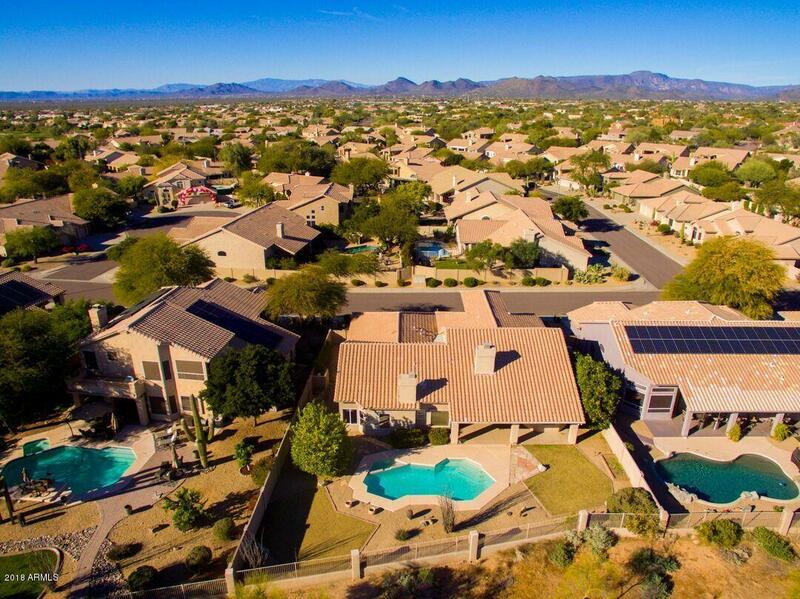 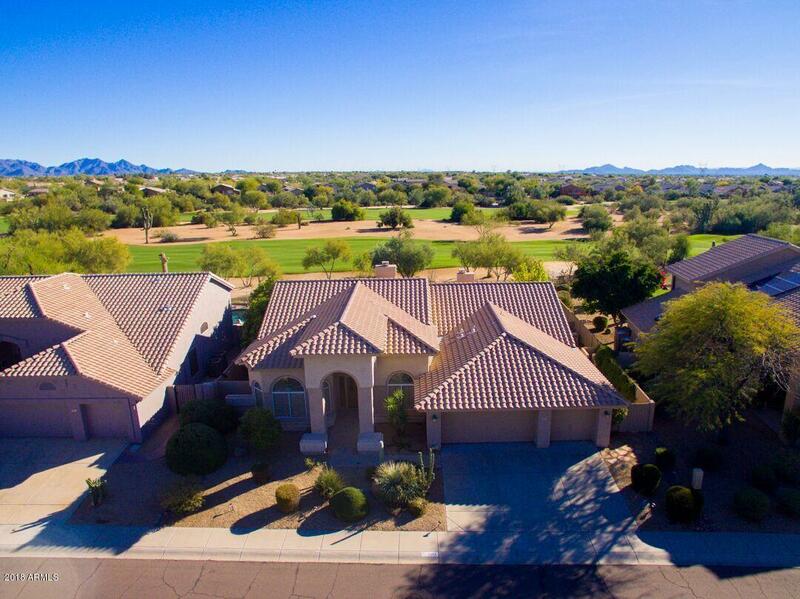 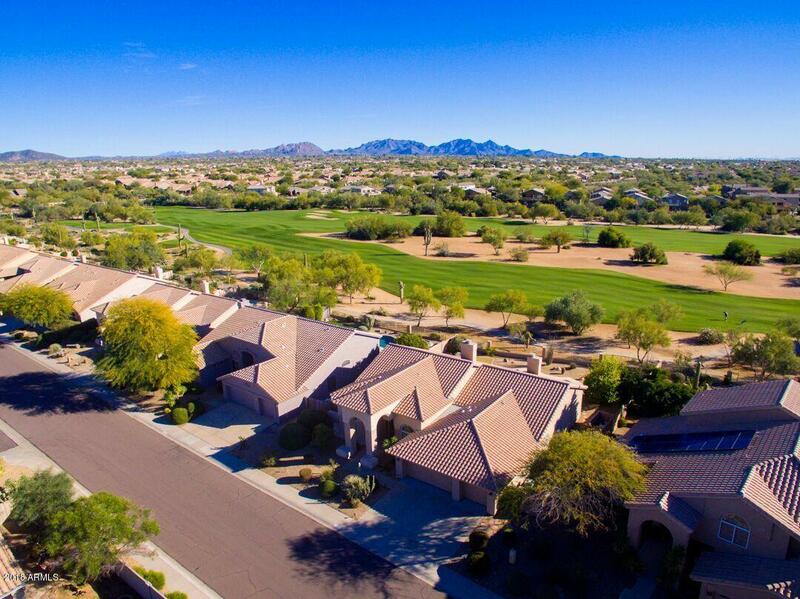 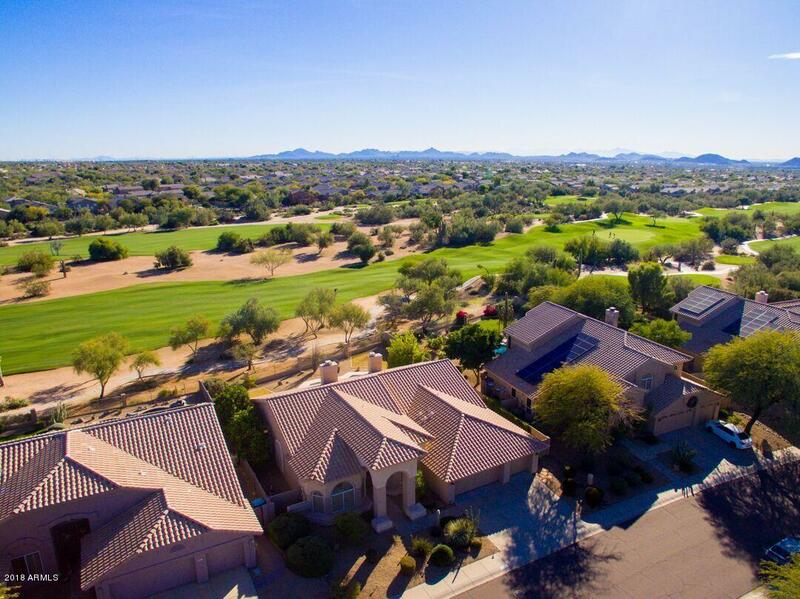 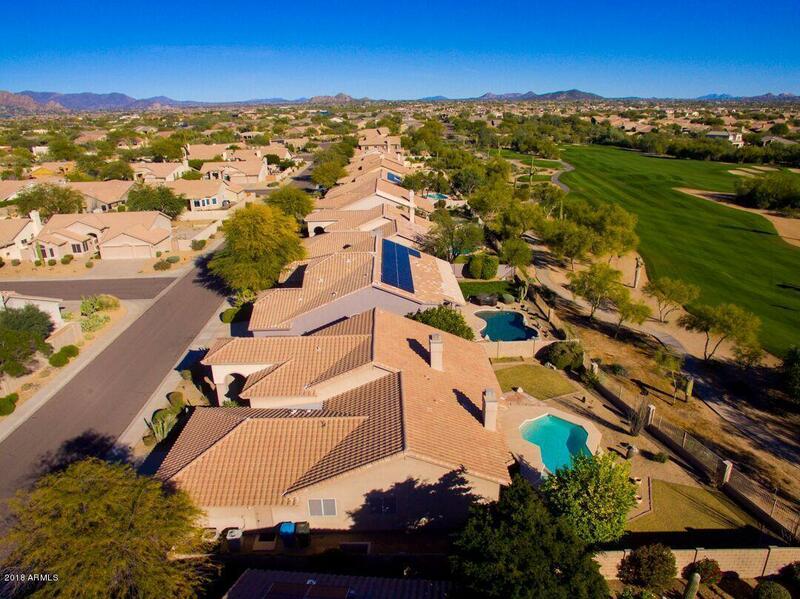 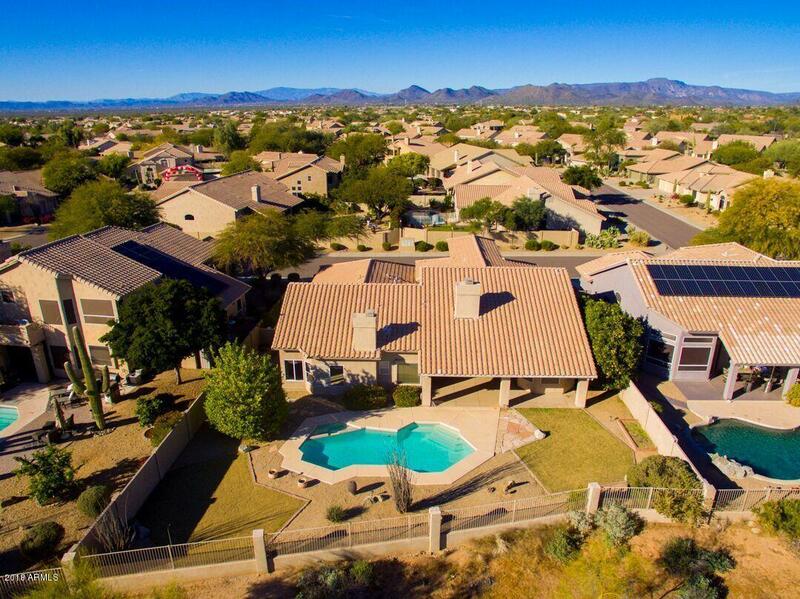 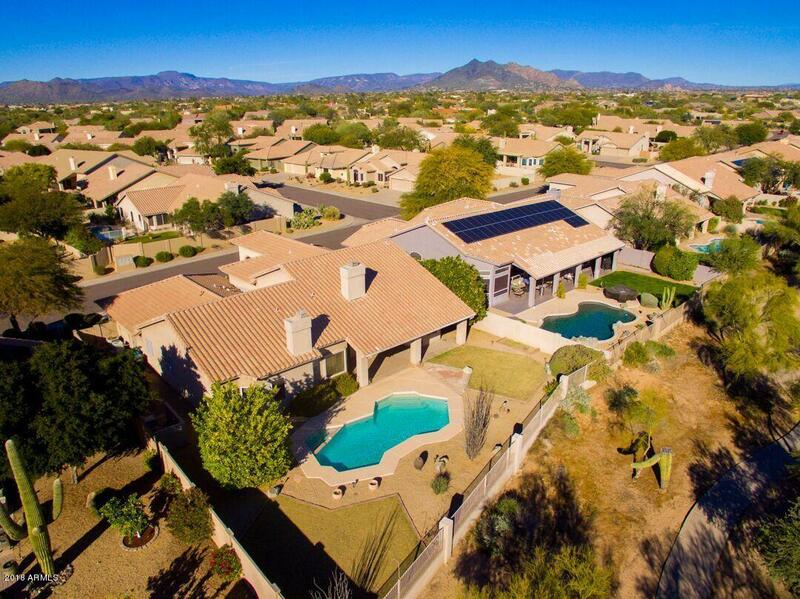 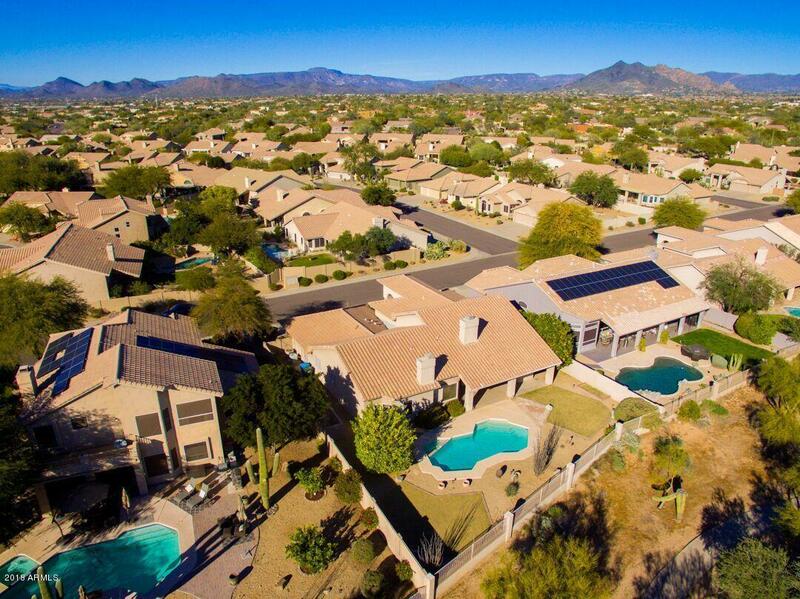 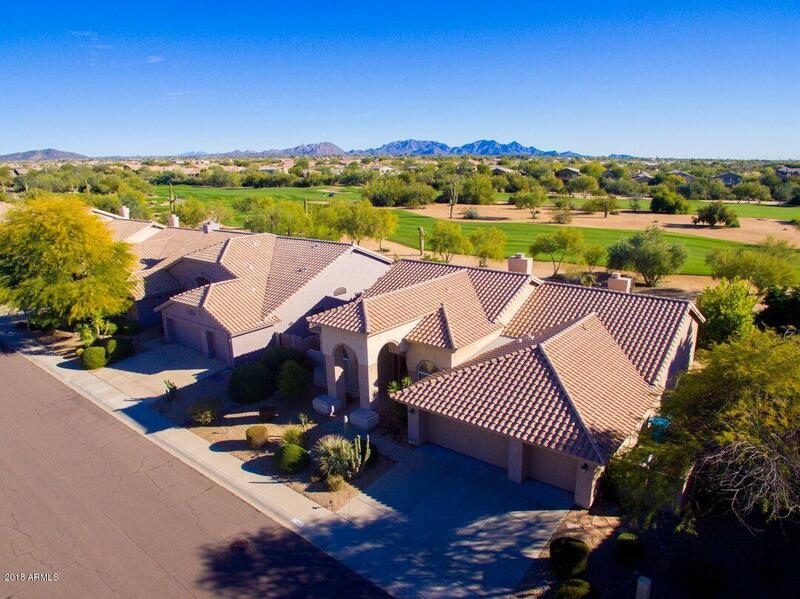 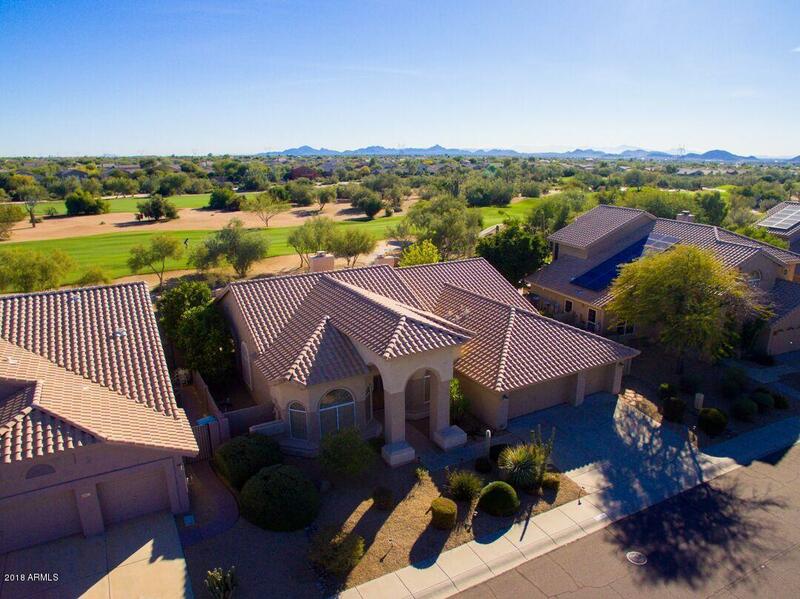 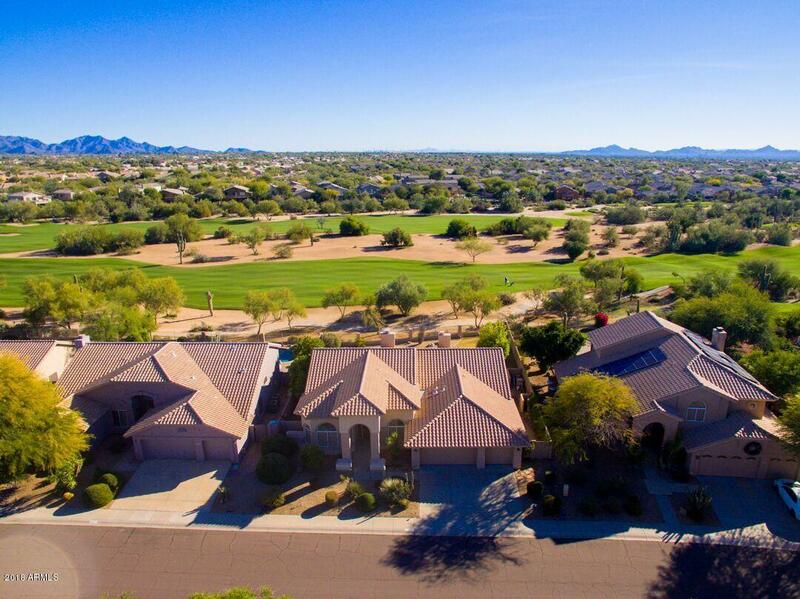 Enjoy Spectacular views of Golf Course. 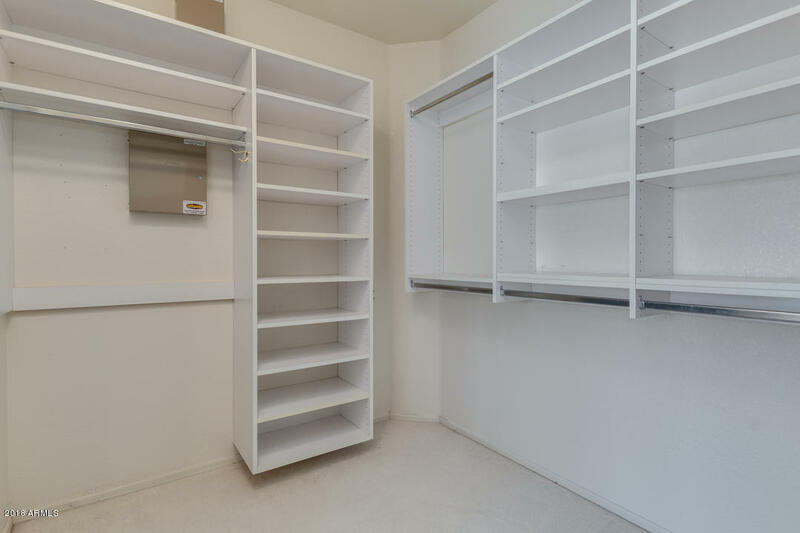 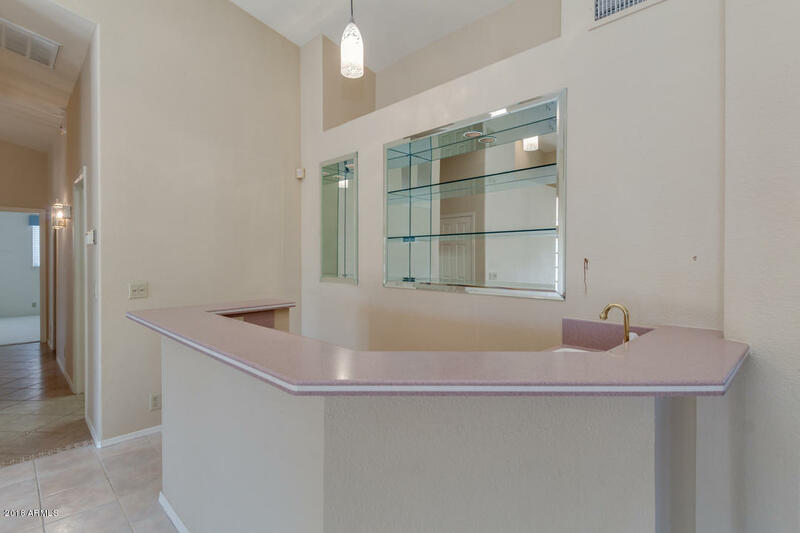 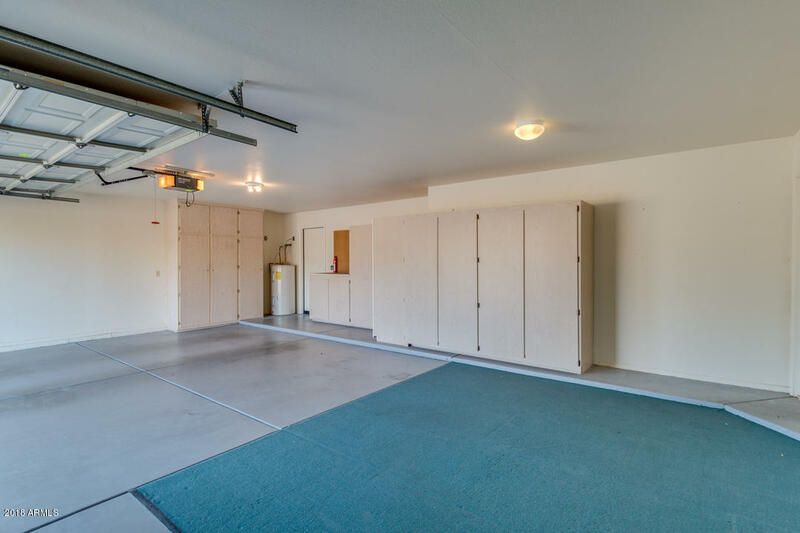 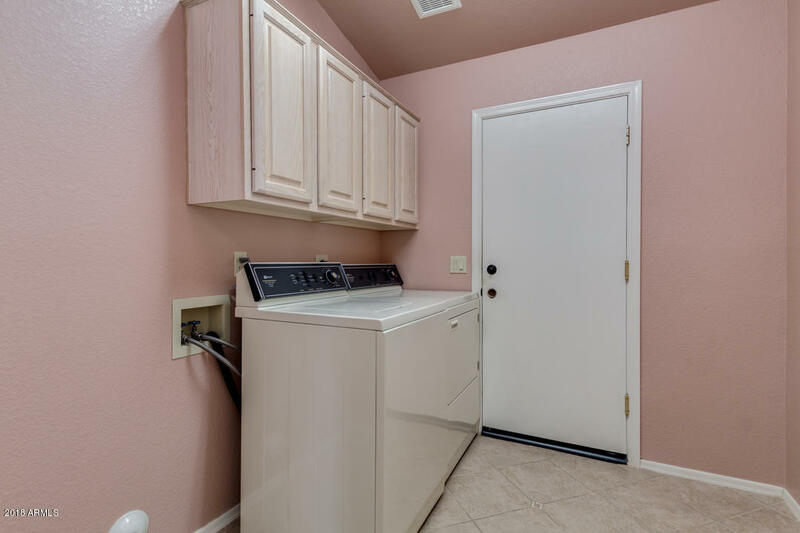 Laundry w/built-ins, 3-car garage with cabinets. 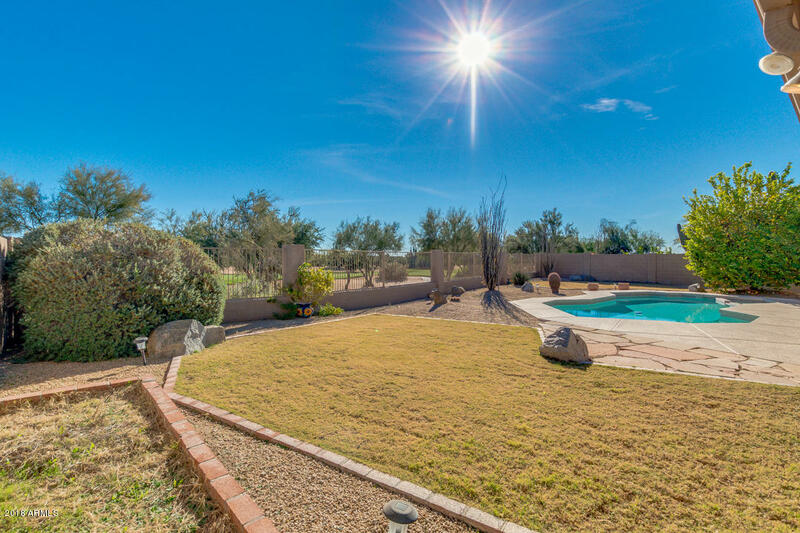 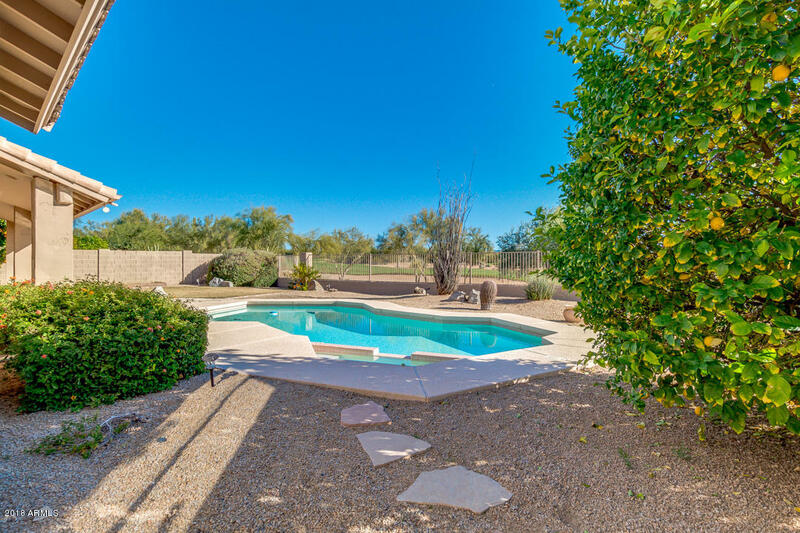 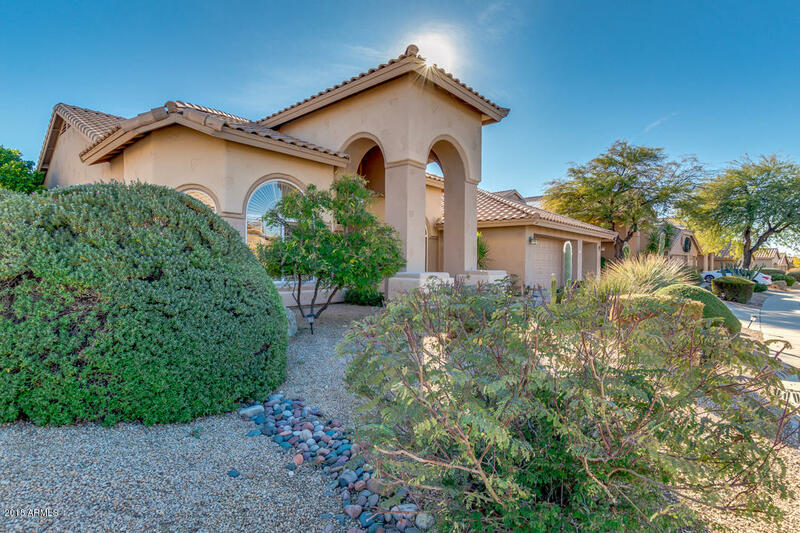 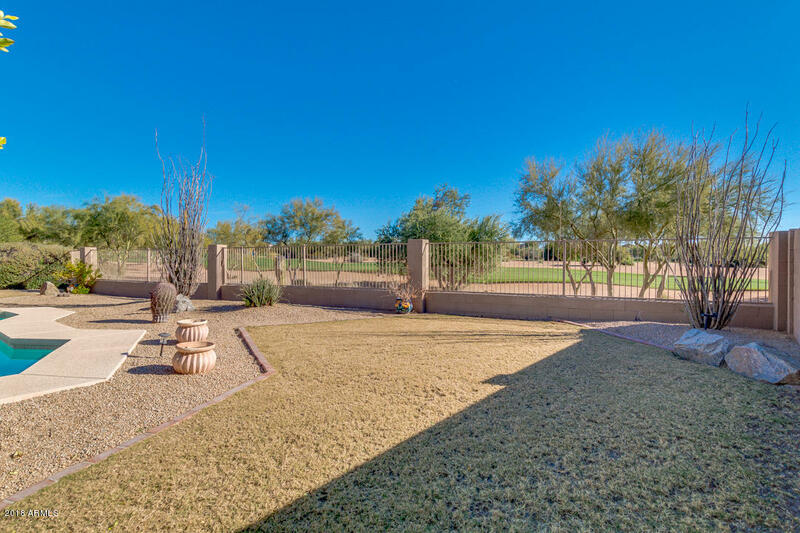 Professionally landscaped desert front yard, with desert & grass back. 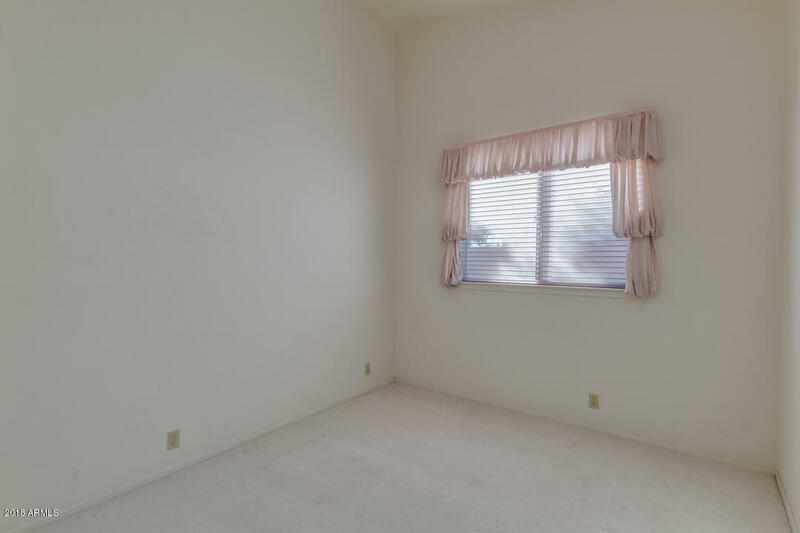 Property sold AS-IS. 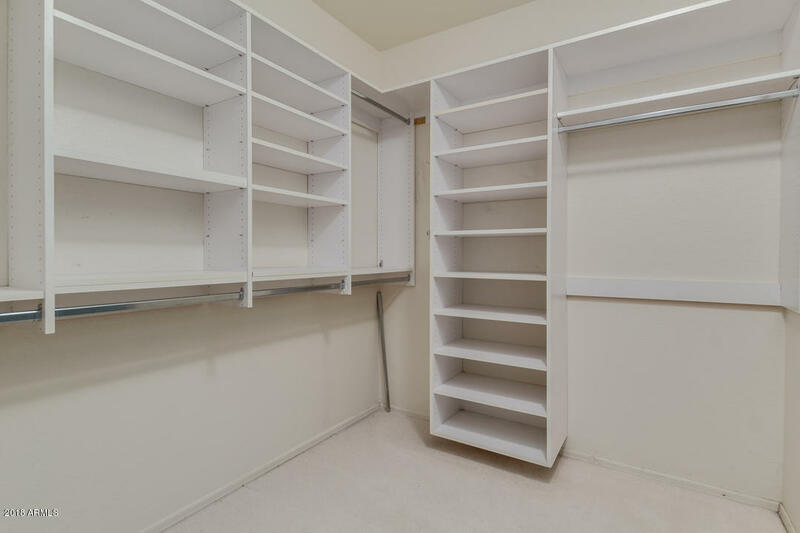 Buyer to verify everything material to buyer.